The majority of my political pieces are posted on another blog: www.the3dforce.us, but on a rare occasion I copy a post to this blog as well, if, from my point of view, the post represents a fine example of the application of a logical reasoning (a.k.a. scientific thinking) to politics. This is one of such occasions. NB: this piece is a smooth and short example of a broader discussion, such as "The Degradation of The White Male American Elite" (and other mentioned there). I need to inform the readers that I am not a politician, or a journalist, or a political analyst. I am a physics instructor with a long and successful professionals experience. "A physics instructor" is more than just a job title, it is a “diagnosis”. My profession defines my way of thinking, my way of processing information and making decisions, even the way I look at the world in general. For example, when I watch politics, I see it through a prism of science and natural laws. I think about mechanisms which would help a certain political group achieve certain political goals. The way I think when I teach physics is just the way I think. Most of the time it leads me to the right conclusions, and allows to make the right decisions, and follow the right steps. That is why I have no doubts that the same way of thinking, when applied to politics, will be as useful as when it is applied to physics, or to teaching physics. As a person of science, I see my missions as discovering truth and revealing it in a clear form which allows to make testable predictions. And my political prediction is that within four to seven years the political landscape in America will be very different from the current one. Specifically, in addition to the two currently existing major political parties, there will be two more strong and formally recognized political movements. One will represent mostly white voters who do not affiliate themselves with neither the Democrats nor the Republicans, and I will tentatively call it "Independent Party". The second one will represent minorities, mostly African-Americans, and I will tentatively call it "Minority Party". The rest of this piece is a brief presentation of the reasoning which has led me to my prediction. For the last three decades, the population of non-white Americans has been growing at a steady pace, and at the same time, the economic well-being of many white Americans has been gradually declining. These two trends are not related (although, the Republicans want to make it look like they are). (b) the rise of the White Nationalism in various forms, including the gains in the political power of the Republicans in 2016. These two trends are not the only one which are influencing the politics in America. Multiple polls have been showing a wide spread and growing dissatisfaction of many white voters with the both major political parties. However, expecting that the partisan divide will suddenly disappear any soon is a naive illusion. The Republicans say that they exercise conservatism. However, the cornerstone of their new conservative ideology is not “a small government” or “fiscal discipline” anymore. The new conservatives are not “pro” anything anymore. Contemporary conservative ideology, which has become a dogmatic religious belief, is simply “anti-socialism” (whatever they mean by that). And the progressive ideology is becoming closer and closer to “pro-socialism” (whatever they mean by that). The room for the common political ground shrinks and will continue to shrink. This is a fertile political situation for the rise of a movement of the people who want to be politically active but do not want to align with the Republicans and the Democrats. It could eventually become a third strong political party, if the leaders of the movement would accept the true mission of a third political party in a two-party system. All currently existing third-party groups have no chance to play any significant role in the American politics because they do not understand what the third party needs to do. They want to “become kings”. However, the true role of the third party is being a “king maker”, i.e. helping the best candidates (in the foreseeable future that means the Democrats) to win. At the beginning of each election cycle the third-party leaders would announce their run, but also would prepare the followers to give their votes in a way preventing the worst candidate from a victory. If, closer to the election day, the third-party candidates would see that they would have no statistically significant chance to win, they would drop the races and would call on the followers to give the votes to, say, a democrat. This strategy looks like a political sacrifice. But that is the only strategy which can help any third party, starting from the “Independent Party”, to attract attention, then and only then gain respect, and then, maybe, become strong enough to compete with the other major parties. This movement will begin its formation as soon as there will appear a charismatic and financially independent leader (think of Tom Steyer, but less egocentric, maybe Jeb Bush?). The “Independent Party” should be the movement of the pragmatics. It should not base its actions on an ideology of any type, but focus on offering practical solutions to the issues concerning the local communities. The power of this independent-third-party movement will grow very slowly. It will take several years before the “Independent Party” will be able to elect a small number of its candidates to the United State Senate – which is its ultimate goal. But when it happens, that party may become one of the most important political forces in the Country because the “Independent Party” Senators will be responsible for delivering in the U.S. Senate the key votes, and the other Senators will have to bargain for those votes. With a strong leader, a strong party discipline, and “the eyes on the prize” the “Independent Party” can become a crucial player in the American politics. Currently, the opportunity to born the first truly third American political party is wide open, and I am confident that soon we will see the first attempts to do just that. However, there is another, and potentially much more powerful than the prospective “Independent Party”, social force, which is non-white American population. The political power of the non-white American population is right in front of our eyes. Right after the Democrats talk about “a blue wave”, they announce numbers of African-American voters who came to the polling stations. Right after the Democrats talk about lost elections, they complain on the voter suppression tactics of the Republicans; the tactics which were designed specifically against African-American voters. The economy of the Country is in disarray. Stock market is high, but only a tiny fraction of the population benefits from that; unemployed is low, but the wages are stagnant. Macroscopic parameters such as the national debt, the budget deficit, the social security funds demonstrate dangerous tendencies, and there are no commonly accepted solutions in sight. That means that the Country is entering the era of economic quakes, social disruptions, and political turmoil. That will lead to an inevitable strengthening of the White Nationalism. 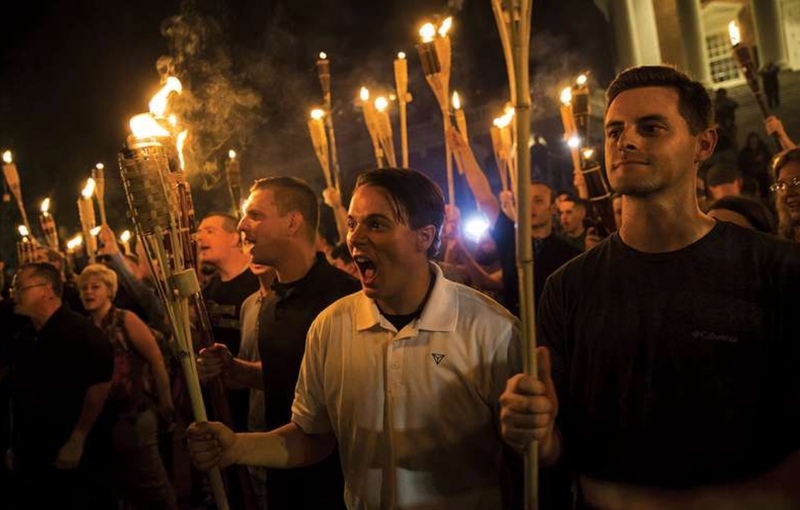 The strengthening of the White Nationalism will lead to an increasing pressure on the social and economic well-being of non-white Americans. Non-white American population will be facing a decision on how to defend the best its own social and economic interests. For any social group, there are only two pathways for defending its own social and economic interests: (a) joining an existing political force; (b) creating its own political force. It is obvious that the majority of the non-white American will never join the Republican party. Conservatism is simply not the ideology which may attract the most of the non-white Americans. For example, when conservatives say “I am for a small government” they simply mean “leave me alone, don’t tell me what to do” as an expression of the extreme individualism. This type of culture is not a good fit for African-American communities. And BTW, when things get tough, those conservative “independent” individuals turn for help to the government, or rather to the “savior” who will make the government to provide for them good living. The economic platform of conservatism is also not very attractive for non-white Americans. It completely ignores the difference in the initial conditions of the white and non-white population. It sounds like “We have great highways! Everyone can use them and get anywhere one likes”. Yes, if you already have a car. But it does not work for people who have no cars and have no option to get one. 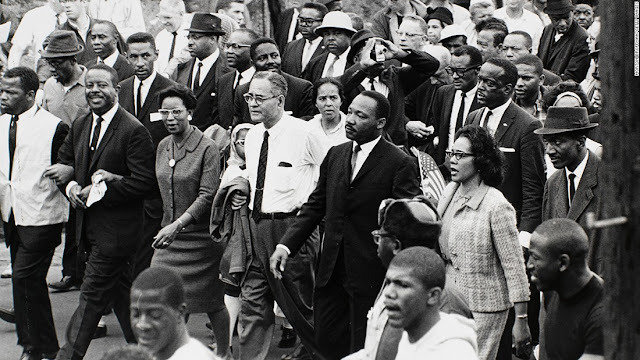 The social justice, civil rights, and equality movement has a long and rich history. During the last thirty years, the politicians representing African-American voters have been absorbed in the Democratic party. However, many African-Americans simply do not trust the Democrats, the same way they do not trust the Republicans. The fact that after 2012 the participation of African-Americans in elections has decreased demonstrates that the Democrats do not offer for them the attractive political agenda. The Democrats fight for the well-being of all people (at least that what they say). However, African-Americans rightly think that they deserve economic, social, and hence, political actions focused specifically on them. African-Americans played a special role in the social and economic development of America. They were an engine and a productive force for a large part of the economy. African-Americans were one of the most valuable commodities. Today the value of that commodity, plus the interest, would reach trillions of dollars. African-Americans have the right to demand at least the partial ownership of that value. There are only two technical questions which African-Americans need to decide on. 1. What should be the form of that ownership? 2. What should be the political force propelling the establishment of that form of the ownership? The natural answer to the first question is (the name is tentative) "The Federal African-American Restoration Trust". Every U.S. individual and a corporation, for-profit or non-profit - no exceptions - would have to pay (the number is tentative) 0.5 % of an annual income in that Trust. The Trust would be run by prominent African-American leaders appointed by the NAACP (or by a special convention). Of course, the establishment of the Trust would not be the only agenda of the Africa-American movement, but it would be the one which would galvanize African-American voters. What African-American wouldn't support this idea by voting for people who would promise to realize it? The natural answer to the second question is the “Minority Party”. Technically, it does not have to be a political party; being a movement will be equally sufficient. It is obvious to me that the majority of the Democrats would not be brave enough to support the creation of the said Trust, because they would be afraid that this action would alienate white voters. However, African-Americans do not need the Democrats anymore to defend their own social, economic, and political interests. For African-American population the contemporary situation is very different from the situation of the time of Martin Luther King Jr.
Today African-American population has what Martin Luther King Jr. didn't, namely, a large cohort of famous and rich African-Americans: entrepreneurs, actors, singers, athletes. Those people are wealthy enough and independent enough to form and propel a political force of their own. Oprah Winfrey doesn't want to become the President of the United States, but she could easily become the leader of the new African-American political movement. The overarching theme of the movement would be “promoting fairness for all Americans”. America is the country of the fairness for all. The political history of America is the history of a gradual inclusion of different social groups into the circle of fairness. Now is simply the time for another step. When created, the movement/party will essentially play the same role as the “Independent Party”, i.e. a “king maker”, however with the much stronger political influence. Without the strong political power of their own, African-Americans may be at risk of losing many gains delivered in the past by the civil rights movement. “Black Nationalism” may be not the most attractive term to call the actions of the “Minority Party”, but it clearly represents the essence of the African-American politics.Currently, minority political groups are not looking at joining forces into one political movement (e.g. there are conservative think tanks, there are liberal think tanks, but there are no think tanks focused specifically on the issues of the American minorities). "Ambition must be made to counteract ambition". The only way to defeat, or at least to curb the rise of, the White Nationalism, is to embrace the “Black Nationalism”. This article is the latest piece on various political issues. My blog http://www.the3dforce.us/ provides many more examples of my political writing. 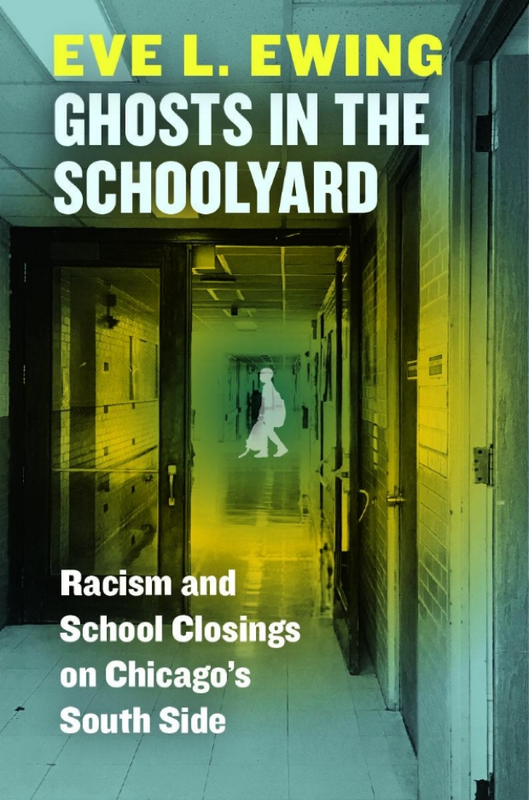 In her book “Ghost in the schoolyard” Eve L. Ewing talks about racism in education (I call it “intellectual segregation”); watch the interview at https://youtu.be/RCuZFD4CX2M. Racism has been there for hundreds of years. It is still here. And almost nothing is being really done about it. 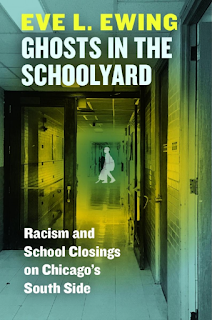 Click here to the link to the book.